The Trango Towers group has seen some of the most difficult and significant climbs ever accomplished, due to the combination of altitude, total height of the routes, and the steepness of the rock. 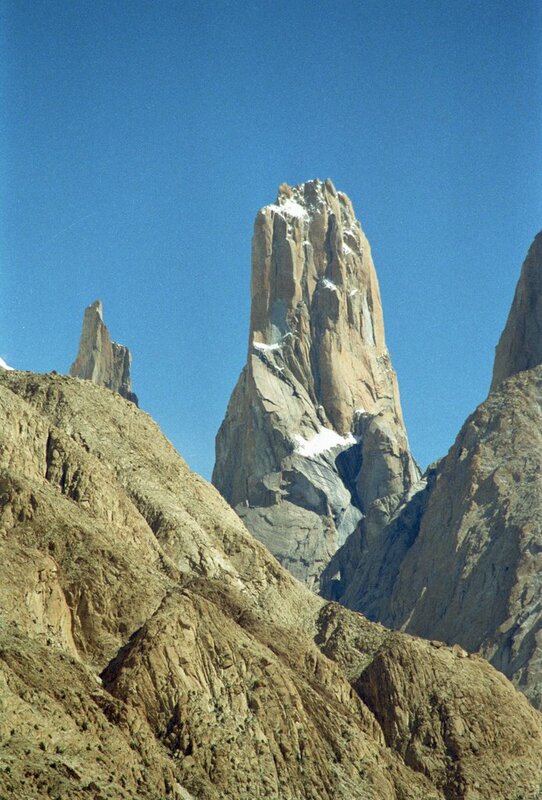 The Great Trango was first climbed in 1977. The East face of Great Trango is the nearly vertical and was first climbed in 1984 but both of the climbers died on the descent. The first successful climb of and return from the East Summit was in 1992. For non climbers, the easiest/only way to view the peaks from is from a helicopter or an airplane. In the world of climbers however, the access to the Trango Towers is reasonable easy as they are located much closer to civilization than many other popular peaks in Pakistan. The price tag of climbing the peaks in Pakistan is determined by the peaks elevation. Therefore climbing Trango Peaks is very affordable when compared to other high mountains in Pakistan, like K2. 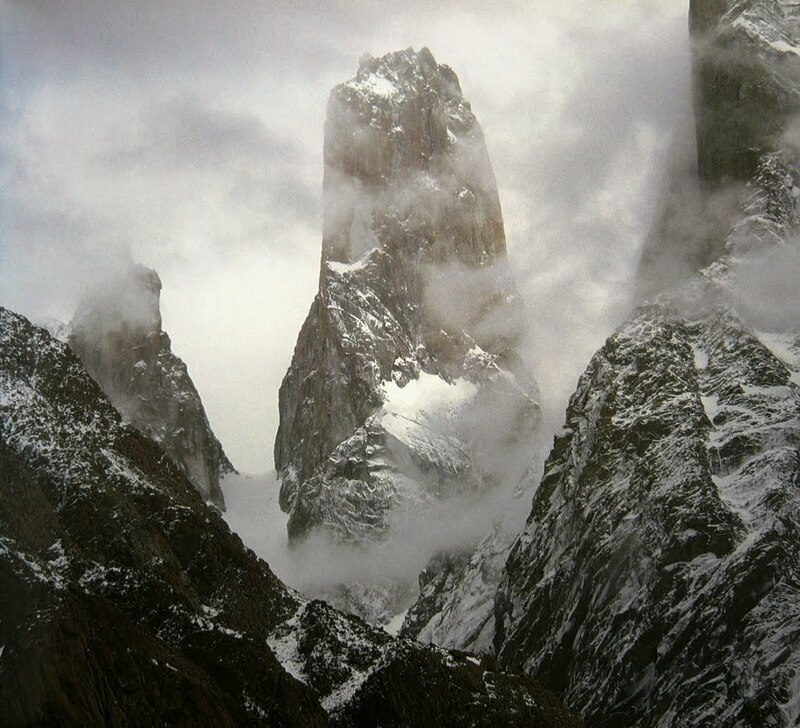 The Trango Peaks are under 6500m, so there are no royalty fees for climbing them. For the same reason, you also don´t need a liaison officer, so climbing to Trango Towers is free. However, you will need to do the walk-in with a Ministry of Tourism approved guide. The fee of this kind of guide is lower than the one of LO. 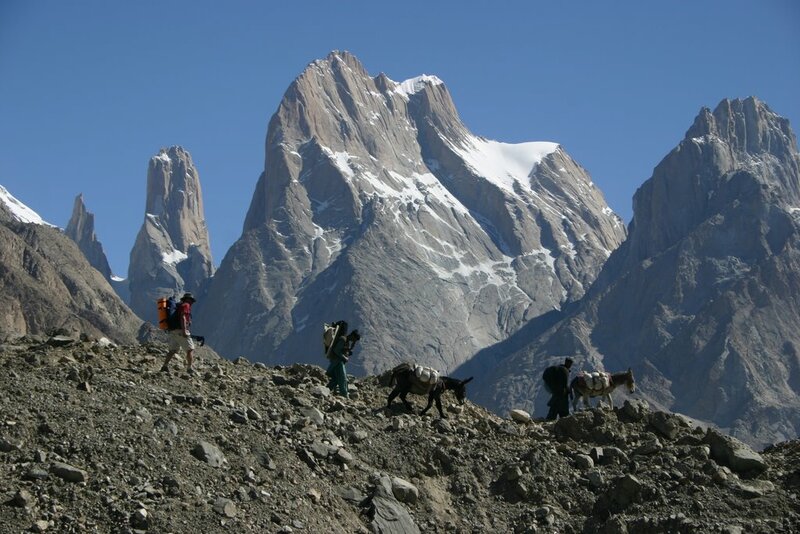 A trekking fee of $50/person is also appliciable in the Trango Tower area.